Only one spot left for what may be the best Teton Photo Workshop ever! FILLED! Several years ago I photographed this mother grizzly and her triplets. This year one of her daughters had twins. (image below) And if that wasn’t enough, the original mother had triplets again! 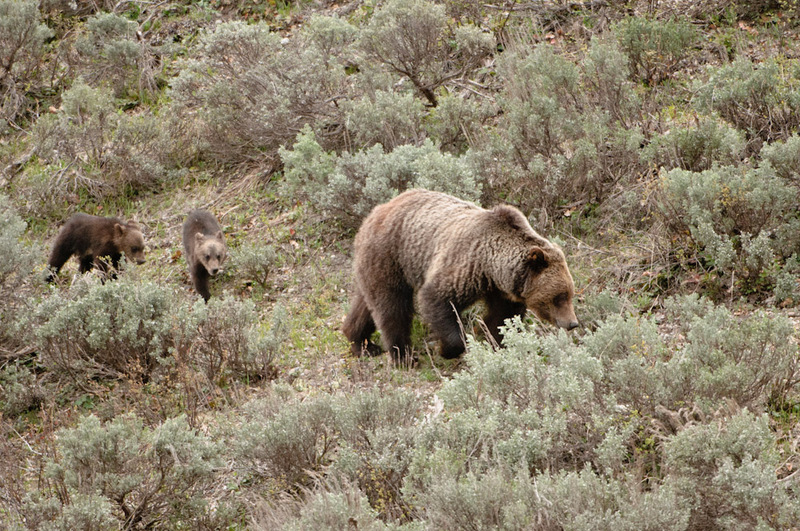 During the summer the daughter adopted one of her mothers cubs. Now the daughter has 3 cubs and the mother has 2 cubs. If that’s confusing join me in the Tetons to learn more CLICK HERE! So there you have it! This could be one of the best fall shoots in years. 2 mama grizzlies with 5 cubs, , moose, eagles, osprey, beavers, otters, elk, bison, pronghorn, and the best fall colors in the Rockies.